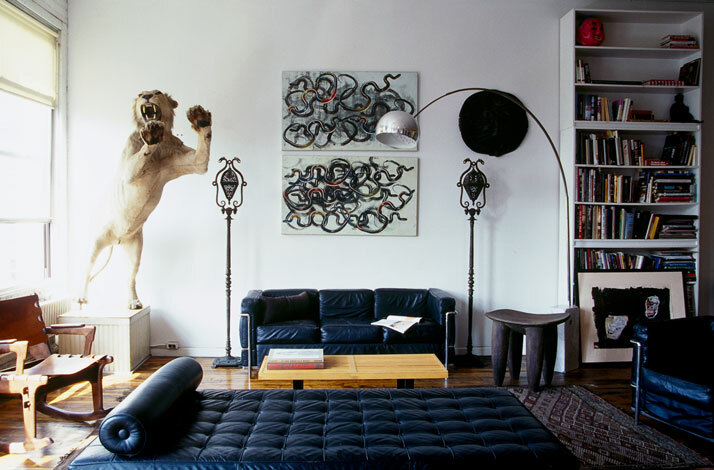 What can you really say about a space featuring a stuffed lion, chinese lanterns, a Le Corbusier Sofa, a Basquiat drawing and a drawer containing human bones including articulated feet? Well, we ooooh and aahhed over this one. Firstly, the name of the owner explains 50% of this design marriage ‘Eric Goode’; name definitely not unknown to the NY club seen. One may even say one of the men responsible for NY’s nightlife in the 80’s. 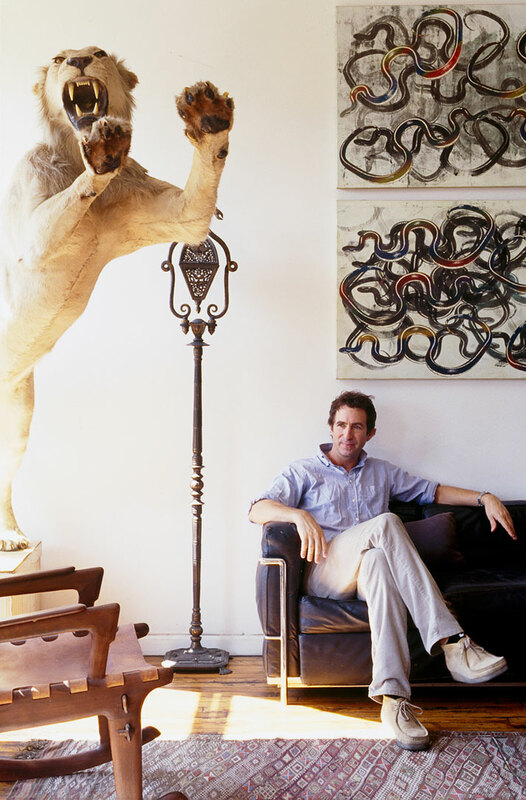 Starting out as an artist Eric Goode was just a simple every day artist incorporating stuffed animals as part of his artworks and hanging out with every day men of his field such as Keith Haring and Jean-Michel Basquiat. In the eighties, he was the man to know if you wanted to have a good time. Owner of the hedonistic ‘Area’ a legendary club, Andy Warhol created installations for the space, as did Basquiat and nothing was left to the imagination. Every few months a new design, a new idea and a new experimentation took place. A few years later in 1987 the opening of ‘MK’ a super club housed in an old bank with a design resembling that of a residential interior, followed suit. You had the four-poster bed, the billiard room, cases containing human bones and the stuffed Doberman Pinschers. After all a grand nouveaux riche house is not a house without its Dobermans. So the 50% of Goode's loft includes memorabilia from the unforgettable nights, in NY night spots that you would do anything to get inside and be part of the crowd. The other 50% of this industrial building’s penthouse in Noho, is simply Goode. With the first glance of this interior you instantly wonder how this has escaped PETA’s knowledge. However nothing is as it seems. All the animals residing in this house have died of natural causes, as the idea of killing animals is something that the owner is strongly opposed to. 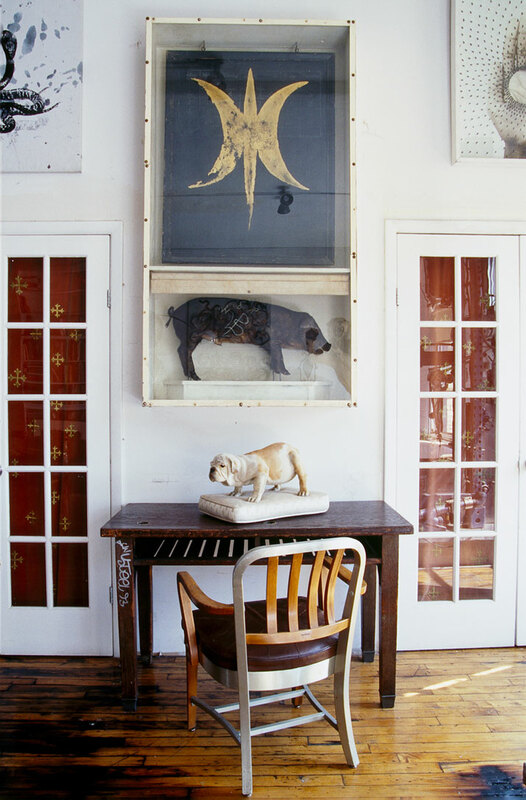 The lion is a vintage piece, which came from a taxidermist in upstate New York. The bulldog came from the Midwest. 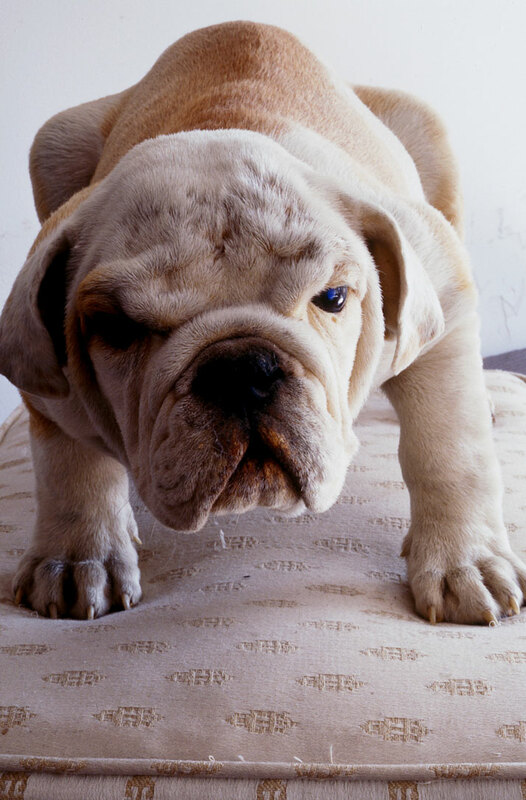 ''It had died and been taken to Preserve a Pet, a company which preserves your pet in whatever position you want. They freeze dry it for about six months''. And that is that. 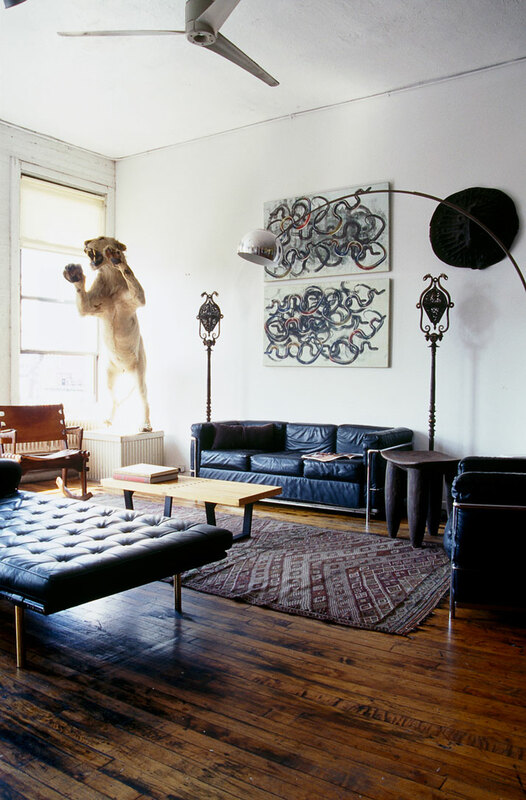 Surrounding the George Nelson & Eames living room furniture is a sculpture piece reminiscent of the mechanical factory years. This sculpture was collaborated on by a group called TODT, who were very big in the 80’s. 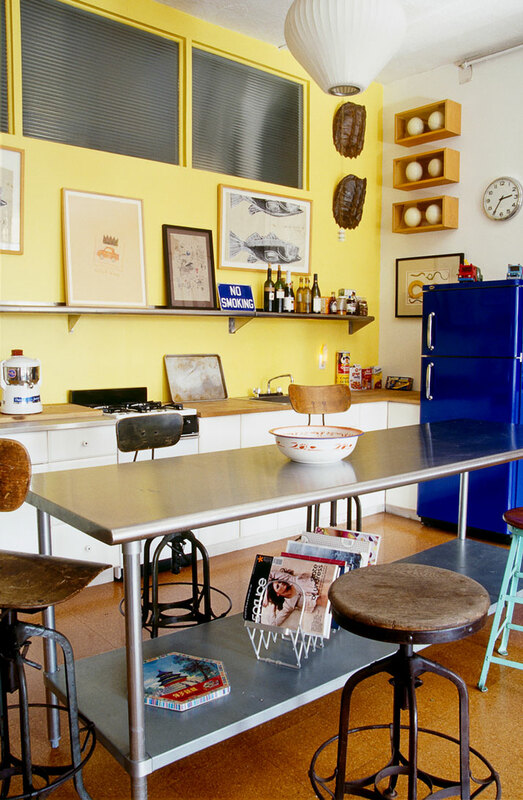 The very bright yellow kitchen with the very blue fridge is as vibrant as it gets. 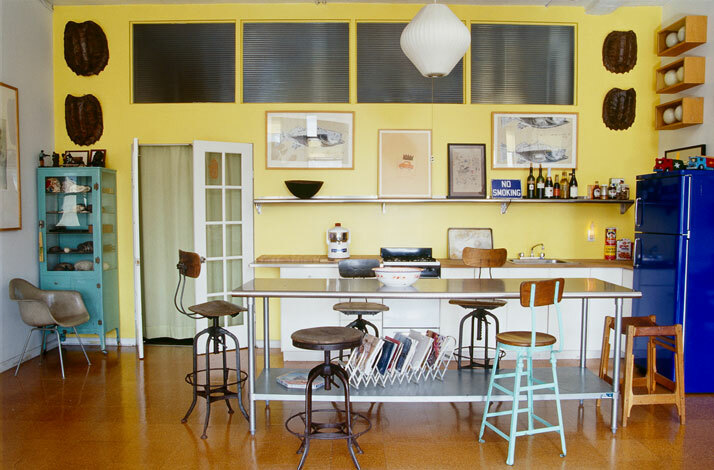 Colour is present everywhere in this apartment either in large applications or in small decorative elements which make the whole interior fun and joyful. Like a walk at the zoo with the pleasure of no cages. 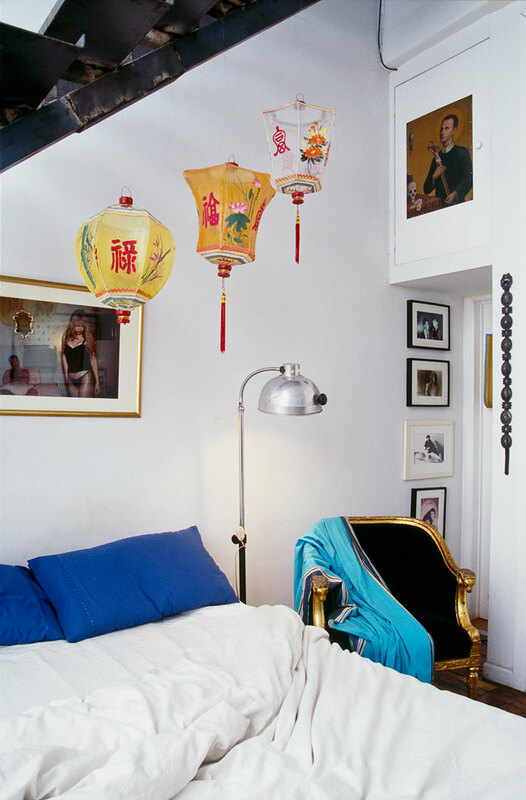 This playfulness is also incorporated in the bedroom with the colorful lanterns and the continuation of one of Goode’s favorite colours, deep blue. 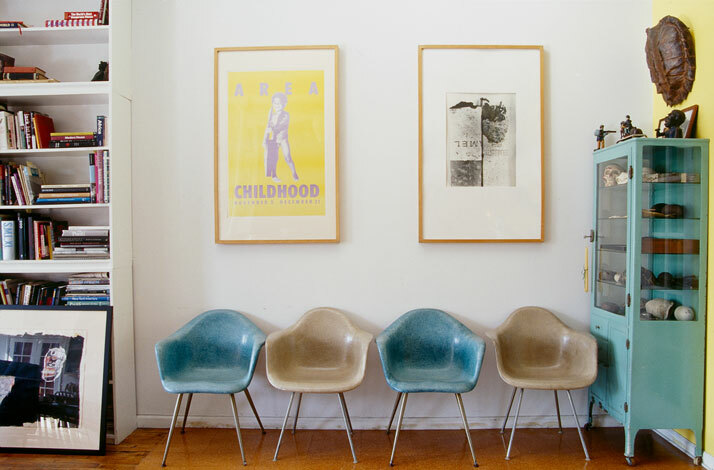 Art works the apartment include several paintings by Philip Taaffe, a couple of Warhol fish drawings in the kitchen area and a Nan Goldin print. Goldin gave him many others pieces of art for one of his ventures in Nineties New York—the highly hip and successful Bowery Bar. 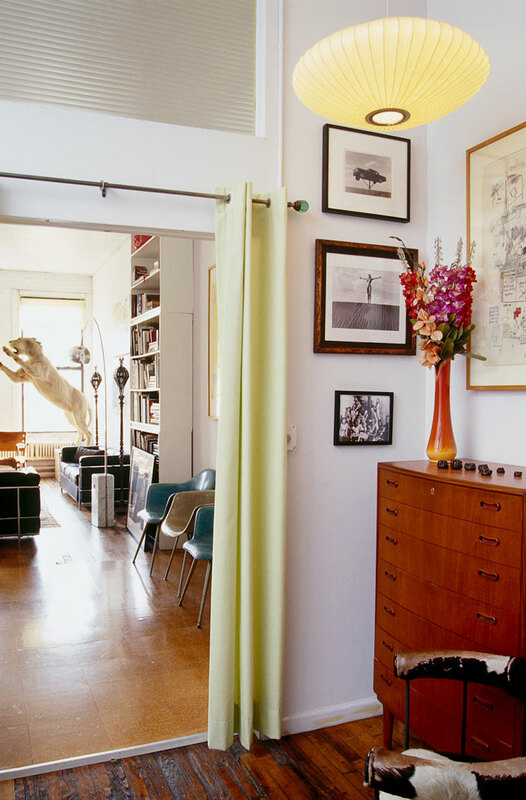 As you can see, we can keep going on endlessly talking about the truly ‘Goode’ inspirational design behind this apartment and the history behind every item. However this is a 'one-page' presentation so enjoy for now.